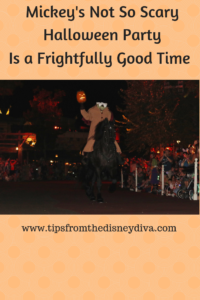 My absolute most favorite time to visit Walt Disney World Resorts is in the fall when Magic Kingdom hosts Mickey’s Not So Scary Halloween Party. 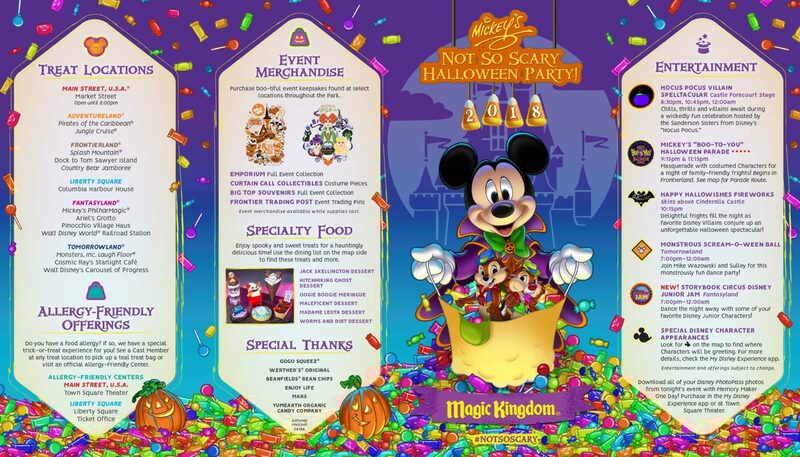 I don’t know what it is about this particular after hours party, but if I had to choose between Mickey’s Not So Scary Halloween Party and Mickey’s Very Merry Christmas Party, I would go with Halloween every time. There’s just something about the guests, adult and child alike, being able to dress up in costumes and trick-or-treat that screams fun! Where else in the world is it acceptable for someone my age (no, I will not be disclosing that top-secret information here) to hit all the hot candy spots with my trick or treat bag and collect candy? Mickey’s Not So Scary Halloween Party (from now on I will refer to it as MNSSHP) is no exception, it’s still my favorite thing to do at Walt Disney World Resorts in the fall. 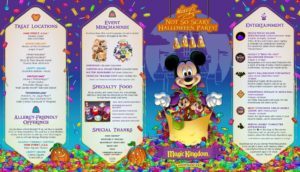 If you have never had the chance to attend MNSSHP and you are on the fence this year, trying to decide if you want to go, I would urge you to make your decision soon as tickets tend to sell out quickly for this event, especially the closer to Halloween night you get. Remember, this is a hard ticket event, which means you will need to purchase a separate party ticket to attend, a regular park pass or annual pass will NOT grant you entrance to the party. Keep in mind that the closer to Halloween night you get, the more expensive the tickets will be. 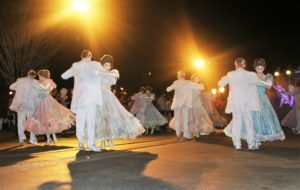 The party officially starts at 7pm and lasts until midnight, but as long as you have a party ticket, you are usually allowed to enter the park to get your party bracelet at 4pm, which gives you three extra park hours before the party actually starts. You can collect your party bracelet at the front of the park. Make sure you wear your bracelet, if you do not have one, they will ask you, in their very polite Disney way, to exit the park around 6pm. As you can see from the Party map, there are plenty of spots to do your trick-or-treating if candy is your thing. 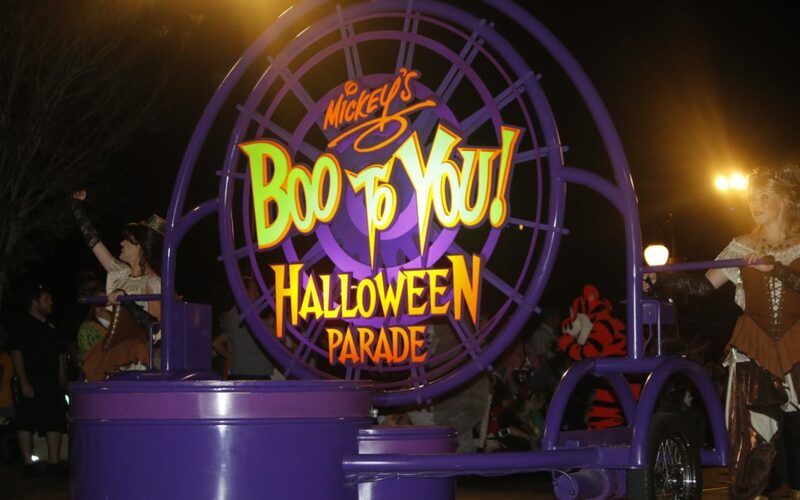 All trick-or-treat locations will be easy to find, they are marked with a large Mickey shaped pumpkin which is lit up making it easy to find. The lines can get long at some locations, but don’t worry, they move very quickly and steadily. If you forget your trick-or-treat bag, the Cast Members have you covered. As you check in for your bracelet, they will give you a bag to use. If your bag fills up, they have more at each trick-or-treat location. Those who suffer with food allergies, never fear, Disney has you covered as well. 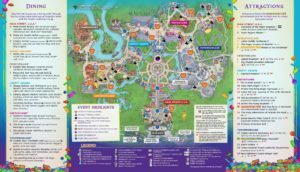 Let the Cast Member know when you check in that you or your family member suffers from allergies and they will give you a special teal bag to use. 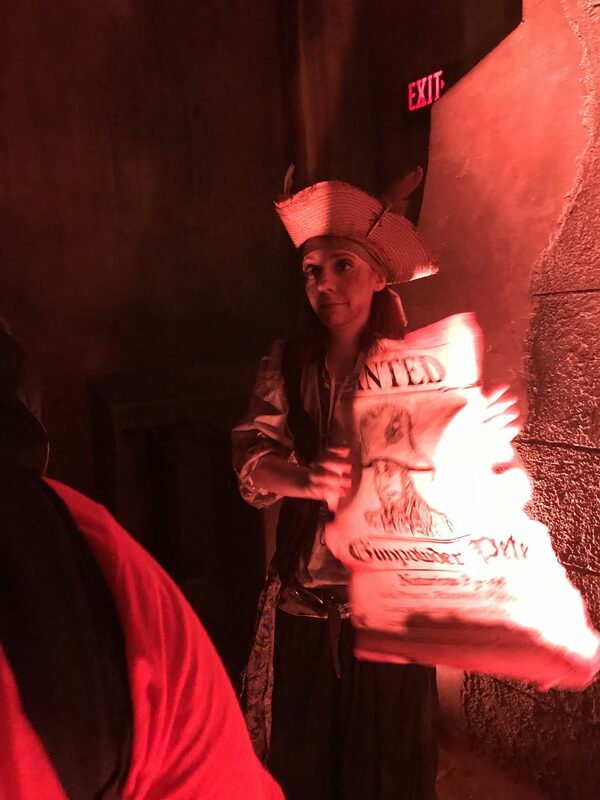 This will let the Cast Members passing out candy know to give you a token instead of candy. The tokens can then be traded in for allergy friendly treats for you or your loved one. 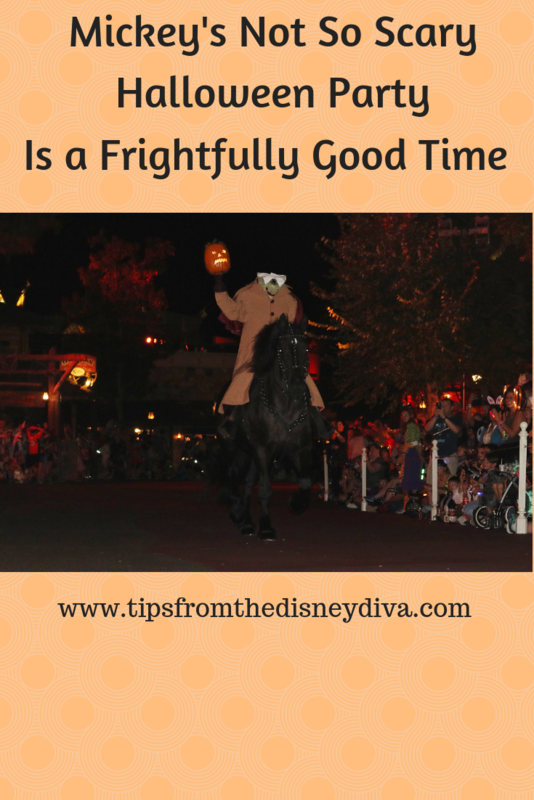 You can read more about allergy friendly trick-or-treating in Canadian Diva’s article here. 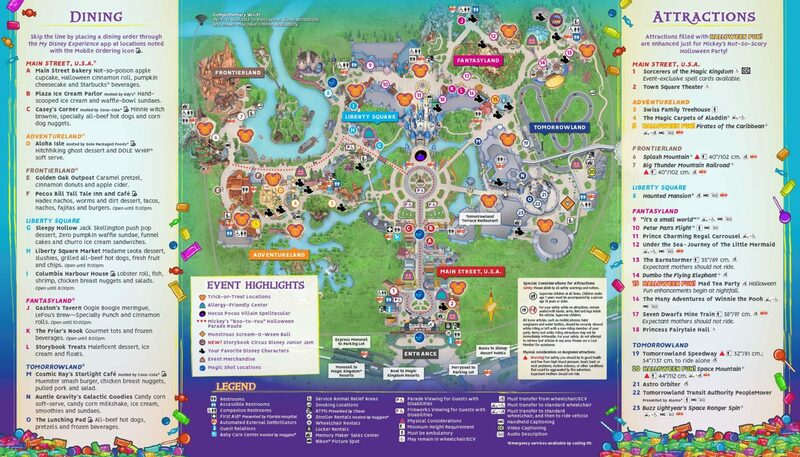 If those rare characters are what you are after, then look for the black Mickey shaped head on your park map to guide you. I will warn you, lines for Jack and Sally from Nightmare Before Christmas can be crazy long, so plan on getting to the designated spot very early. Another character line to hit early is the line for the Seven Dwarf’s. This was the only character meeting we wanted to do at the party we attended. We got in line about 6pm I believe and waited about 45 minutes. Honestly, I don’t believe in using the bulk of my time for a hard ticket party waiting in lines to meet characters. There are so many other things to do, such as taking advantage of the shorter wait times for attractions! 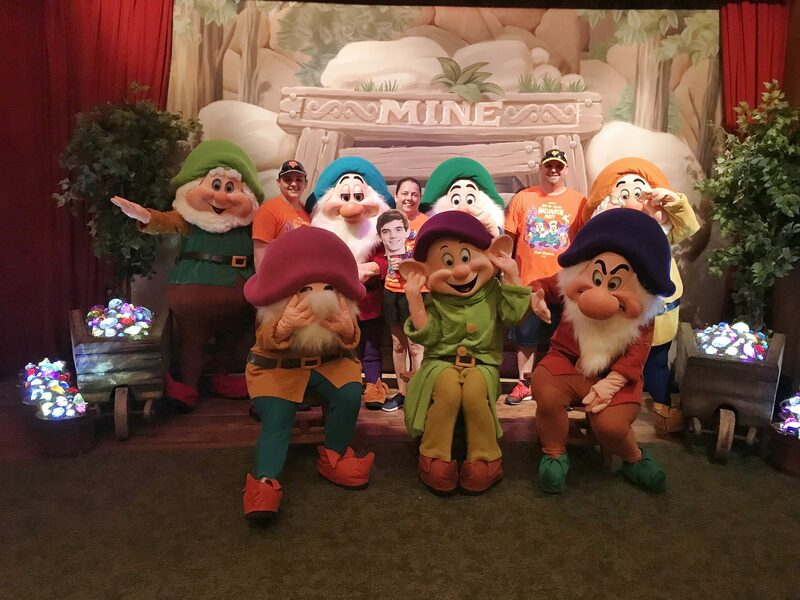 I’ve been monitoring wait times for a few parties this year and I’ve seen the wait for Seven Dwarf’s Mine Train go down to 25 minutes sometimes. We like to hit the rides that to a little something extra for Halloween, like Haunted Mansion. 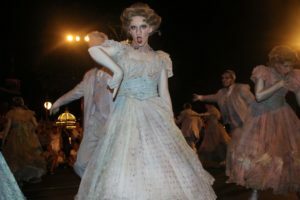 I love to see the Cast Members for Haunted Mansion dressed in full “dead” makeup, complete with being draped in cobwebs. They even have a couple of extra characters as a surprise outside of the Haunted Mansion. Pirate’s of the Caribbean has a little surprise for the party this year as well. 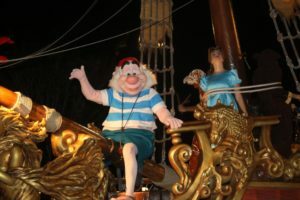 There are a few live characters running around inside the attraction this year, so make sure to keep your eyes and ears open for them. You never know who you will encounter or what they will be doing. Now on to my very favorite part of the party, the parade! I’m not normally a parade type person. 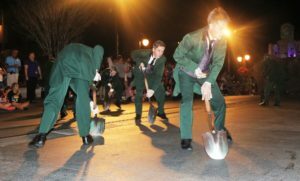 I mean, I did enjoy The Main Street Electrical Parade before they ripped it away from us, thus breaking our hearts, but other than that, I would rather be riding a ride than sit or stand for a parade. Well, the exception to that is the Boo to You Parade. Oh my gosh, I can’t tell you how much I love and adore this parade! 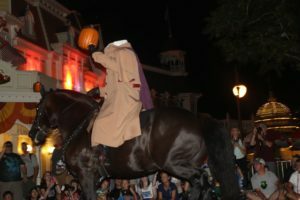 From the Headless Horseman that makes his appearance five to ten minutes before the parade actually starts to the grave diggers and dancing ghosts, I love every second of it. As a matter of fact, as I’m typing this, I’m singing Boo to You in my head. Warning – picture overload on this, the parade is pretty much the ONLY thing I can’t miss at the party. A little tip for the best viewing area is to check your map for the parade times and then stake your spot out about an hour before it begins. The parade actually begins in Frontierland, so anywhere around there would be a great place to watch, especially since most people tend to gravitate toward Main Street and Cinderella Castle to view it, so it’s slightly less crowded in Frontierland. You can have one person hold your spot while someone else takes the kids trick-or-treating near by if you want, or you can grab a snack and use your wait time to gobble down some goodies. 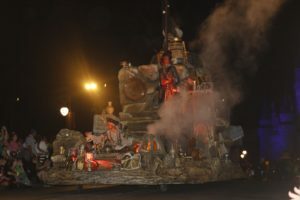 There are two parades at each party and most people recommend viewing the second parade, but somehow we always decide to go with the first so we can end the night riding rides or go for the candy. The choice is really up to you. Either way, make sure you make it close enough to the castle hub for viewing of fireworks for Happy Hallowishes Fireworks. It won’t take too much time out of your party night and between the fireworks and the music, it’s very much worth it. There is still so much more at the party I haven’t even mentioned! If you are into the Sanderson Sisters, then Hocus Pocus Villain Spelltacular performed at Cinderella Castle will be right up your alley! Try to check out Space Mountain for an extra thrilling ride during the MNSSHP. 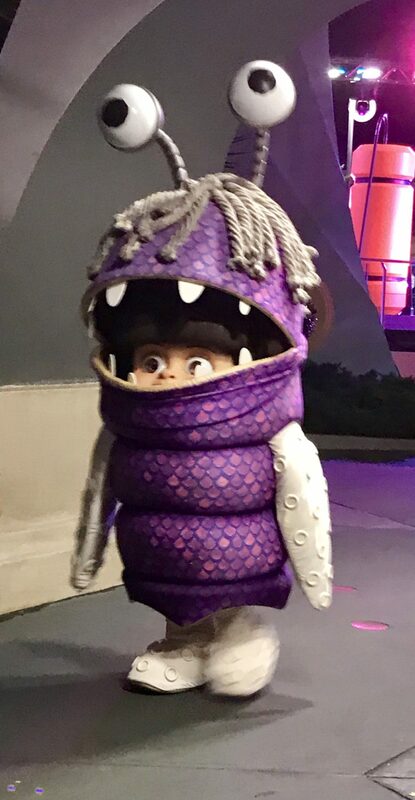 If you are already riding Space Mountain in Tomorrowland, maybe you can spot a few characters from Monster’s Inc. as they party down at the Monstrous Scream-O-Ween Ball. We didn’t stick around for the dance party, but we did spot Boo on the way out! 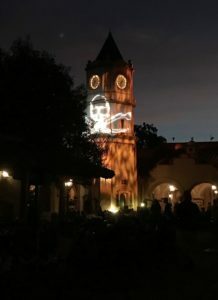 If I had one negative thing to say about the Mickey’s Not So Scary Halloween Party, it would be that there’s just not enough time to do everything. The party is so packed with fun and excitement, there’s literally not enough time to take it all in. 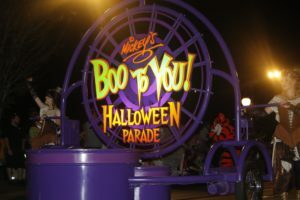 If you truly want to experience all the rides, all the characters, shows, parades and trick-or-treating, the only way to do that would be to buy tickets for two, maybe even three parties. If you are like me and only buy for one party, try to have a game plan in mind for when you go, otherwise you will waste a lot of valuable time waiting in lines. 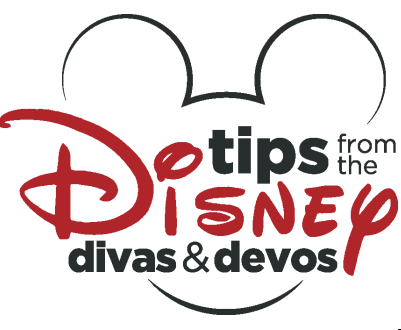 There you have it, my take on my favorite after hours event at Walt Disney World. As I said earlier, if you are on the fence about whether or not you want to go, I hope this has helped in some small way. If you have decided to go, please, please, PLEASE get your tickets as soon as possible. They WILL sell out quickly. 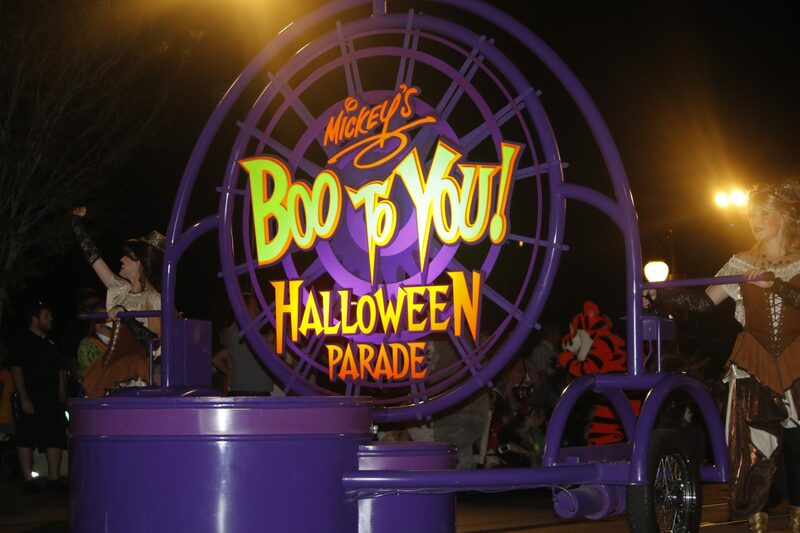 Throwback Thursday: Mickey’s Not So Scary Halloween Party Review WDW: It’s Totally Scary!